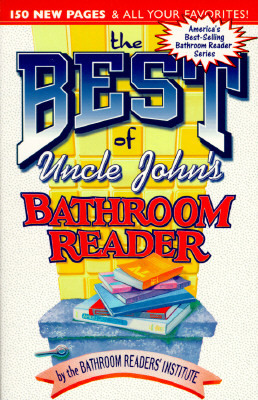 The number 13 is lucky for the thousands of bathroom readers eagerly awaiting Uncle John's latest lighthearted collection of facts, quotes, history, science, word origins, pop culture, gossip, and "uncanny" humor. As always, the entries are organized by length to accommodate short, medium, and long visits, and the book features the popular "Extended Sitting Section" for a leg-numbing experience. Footers running on every page comprise a book-within-a-book of weird facts.